What makes the Shubb L2 Lite Capo so special? For one thing, it's ingenious design: a patented locking action which provides an unrivaled combination of power, speed, accuracy and ease of use. One smooth flip of the lever locks it securely in place... and removes it just as quickly. Since 1980 the Shubb capo has set the standard against which all others must be measured. It is the first choice ... often the only choice... of more than a million musicians worldwide. The serious guitarist will settle for no less. Precisely machined of brass and carefully hand assembled, a Shubb capo is manufactured without compromise. Simply holding one in your hand conveys a sense of quality. Snapping it solidly onto a guitar neck, and then removing it, all within about one second, will confirm its reputation for excellence. Shubb Capos act just like your fingertip. 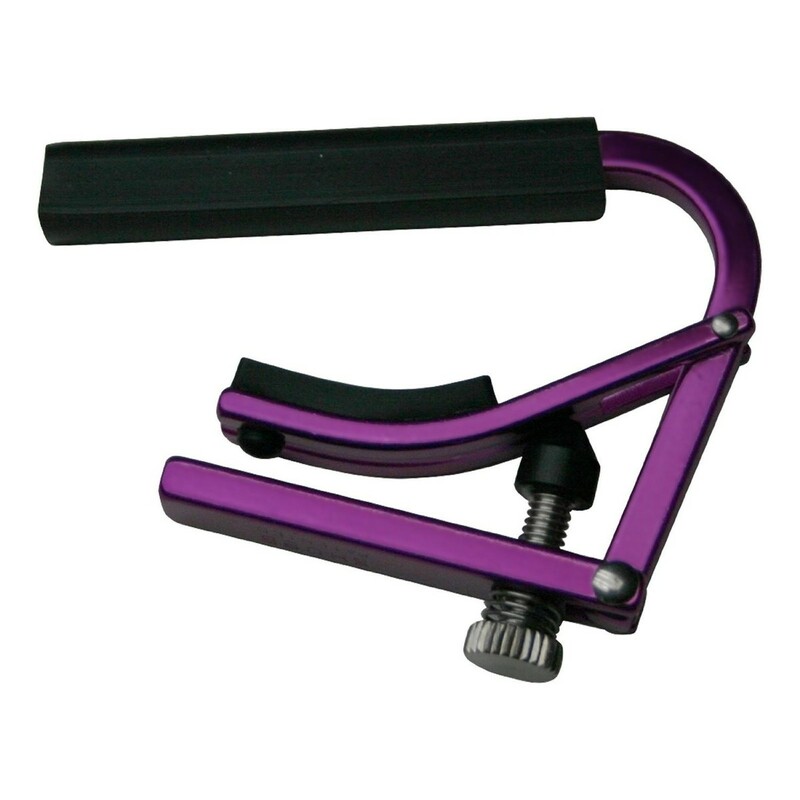 Using a custom rubber material that behaves just like the skin on your fingertip, it allows the string to sink into the rubber just enough for it to relax and not be stretched across the fret like normal capos. Meaning that the strings are not stretched out of tune and no re-tuning is required. The problem of stretched, sharp strings that normally occurs with most other capos isn't a problem with Shubb Capos. The Shubb Capo closes onto the neck just like your hand does meaning there is no sideways pull on the strings, resulting in no tuning issues. Unique among adjustable capos the Shubb Capo allows you to simply adjust the screw to the right amount of pressure for your instrument, then ''set it and forget it'' meaning that you will get the same ideal, consistent and repeatable pressure each time without having to manually apply the same amount of pressure each time you use your capo like before.